Kayla Feder Sensei began her Aikido training in 1973 at the age of 9 and has trained continuously for 37 years. She is the chief instructor at Aikido of Berkeley and studied directly under Morihiro Saito Sensei in Iwama, Japan. Feder Sensei has also trained with and been strongly influenced by Doran Shihan, Nadeau Shihan, Saotome Shihan, and Ikeda Shihan. She received the rank of 6th Dan in 2004. Kayla Feder Sensei has taught seminars throughout the US, Europe, and Israel. In addition to her Aikido accomplishments she received a Masters degree in Holistic Health Education from JFK University in 1998. Feder Sensei's teaching style supports the individual growth of each student. She especially enjoys teaching kaishi waza, ukemi and weapons. 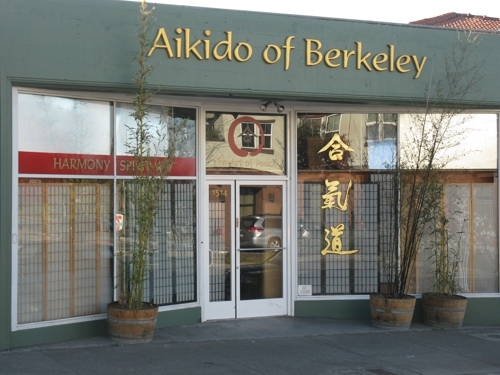 Feder Sensei also includes yoga and meditation practices as part of the curriculum at Aikido of Berkeley. An uploaded document, history, original writing, or an existing page on this site which gives a sense of this site. Please email kaylasensei at yahoo dot com.